We source our ingredients locally and organically when possible and we incorporate natural sweeteners such as honey, molasses and unrefined sugar in our recipes. We buy our ingredients according to season and what's best at the time of year locally when possible, and also from the Western and Southern United States. Get in touch to find out what's available! We do NOT use nuts in our pies, unless stated (Roasted Nut & Chocolate for example). However we are NOT a nut free kitchen. Many of our baked goods use nuts and seeds and peanut butter. If you are concerned about cross contamination, please call the shop to discuss. Nearly all of our products contain dairy, eggs and wheat. 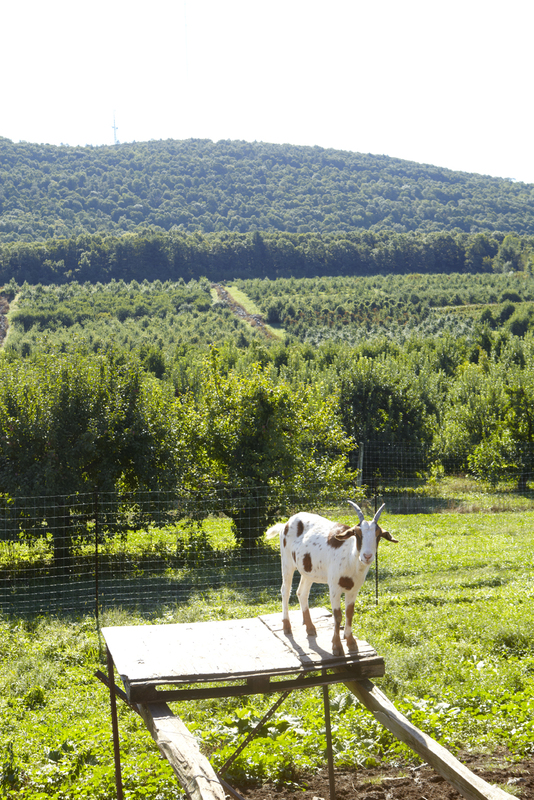 We use Battenkill Valley Creamery milk for our coffee drinks and source the majority of our local seasonal fruit from Wilklow Orchards in upstate New York - almost 100% of our apples come directly from their farm. We work with high quality coffee roaster Stumptown - roasted locally in Brooklyn. We source wild foraged edibles from Evan Strusinski.